The reaction to 2011 Topps Tier One has been mixed. While the on-card autographs look impressive, the overall content of the doesn't always offer enough value given the high price tag. The set also looks and feels a lot like 2011 Topps Marquee, which may or may not be a bad thing. 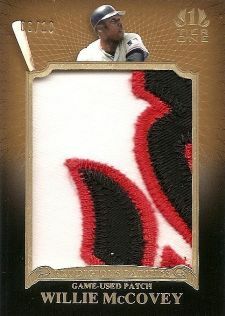 That said, some amazing 2011 Topps Tier One patch cards are out there. All the cards in the Prodigious Patches set feature a massive patch swatch, most of which come from distinct parts of team logos or player names. Each card is limited to 10 numbered copies. In the week since the set was released, relatively few have popped up on eBay. Realized prices have varied, depending largely on the patch. The highest was $399 for a three-color Hank Aaron. Others passing the $200 mark include three Willie McCoveys, an Eddie Murray, a Roy Halladay and a Tim Lincecum. On the low-end, a couple of Fergie Jenkins cards with plain blue swatches sold for under $50. A Jay Bruce featuring a red stripe went for just $27. It's obvious that attractive patches draw stronger bids. The long-term potential on these values are solid as long as similarly styled cards don't become too common place. 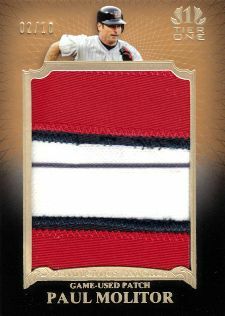 Although Topps did make a similar set of patches in 2011 Topps Marquee, they too were extremely limited. The Prodigious Patches checklist is also somewhat small with just 25 names on it. As long as this trend keeps up and the market doesn't become over-saturated with jumbo patches, the demand will always be there for unique pieces. 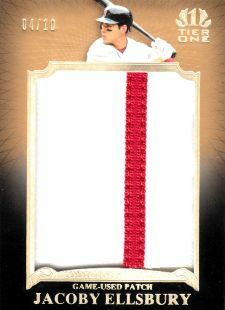 Regardless of whether you're a fan of the set, many of the 2011 Topps Tier One patch cards are amazing-looking cards. For your viewing pleasure, we now give you permission to drool over a handful that have surfaced. 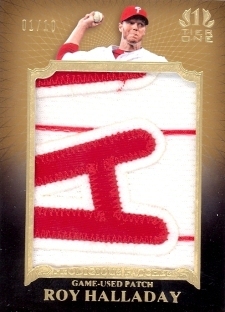 JOEY VOTTO PRODIGIOUS PATCH #09 10!!! 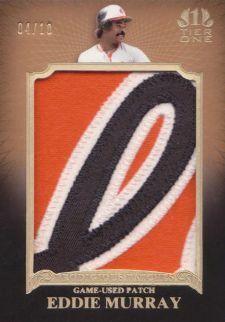 2011 Topps Tier One # PP-2 SP RARE!!! 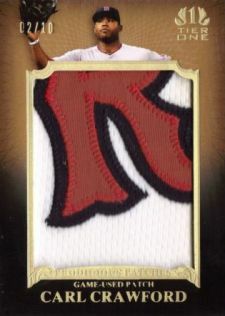 CARL CRAWFORD PRODIGIOUS PATCH #01 10!!! 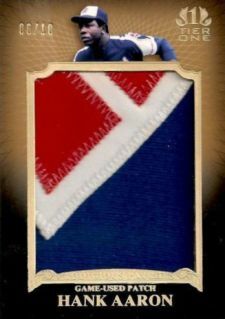 2011 Topps Tier One # PP-3 SP RARE!!! 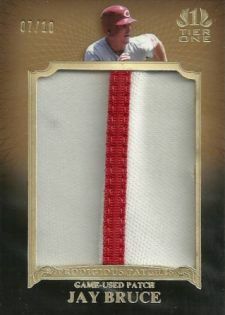 JAY BRUCE PRODIGIOUS PATCH #01 10!!! 2011 Topps Tier One # PP-16 SP RARE!!! 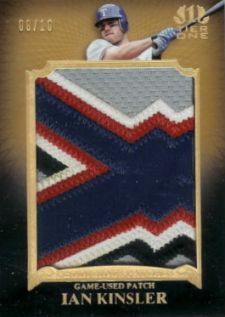 IAN KINSLER PRODIGIOUS PATCH #04 10!!! 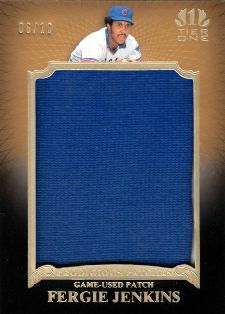 2011 Topps Tier One # PP-23 SP RARE!! !